Then I develop a list of the common themes that run through all the best projects and activities of the past year. All of this is very helpful for the next step: planning next year. I’m very blessed to have a wide variety of opportunities from theater to band gigs to photography projects. So many in fact, that my “annual report” gives me clarity on when to say no so I can actually complete what I commit to. 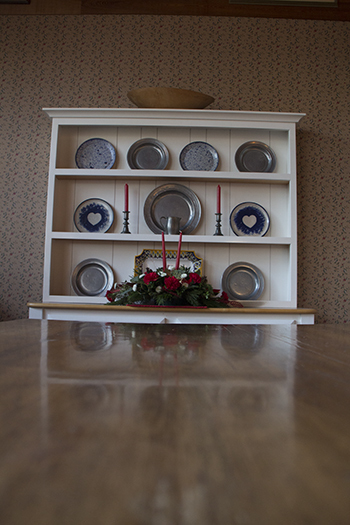 We spent time with family over the holidays and I captured this hutch in my sister-in-law's new home. It seemed to be smiling at all the laughter and conversation taking place at the dining room table.